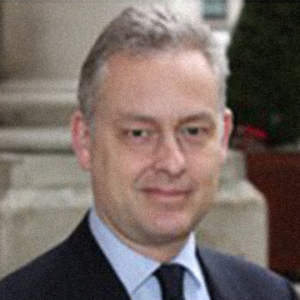 Simon Manley has been a member of HM Diplomatic Service since 1990. He took up post as British Ambassador to Spain and non-resident Ambassador to Andorra on 28 October 2013. Before his posting to Madrid, Simon was Director for Europe at the FCO (2011-2013), responsible for policy toward the EU, the UK’s bilateral relations with its European partners, and the FCO’s network of 57 European posts and more than 2000 staff. He served previously as the FCO’s Director Defence and Strategic Threats (2008-2011), leading the Government’s international counter-terrorist, counter-proliferation and counter-narcotics efforts, as head of Counter- Terrorism Policy (2006-2008) and as head of the EU Economic, Central Europe and Ireland department (2002-2006). Jenny Mosley is renowned nationally and internationally as a key UK trainer, educational consultant and prolific author. Her unique ‘Golden Model’, interweaves key ideas and is underpinned by theory and experience. This model promotes staff and pupil wellbeing, listening systems, positive values and social times. These outcomes help early years settings and schools create safe, supportive and inclusive learning communities where children and adults feel safe, respected and listened to. Jenny’s Five Wells for Wellbeing has been used by many organisations including the National College for School Leadership (NCSL) in the UK. For 45 years, Jenny has been in demand for inspiring and unique talks, conferences and workshops, covering areas of expertise within staffrooms, early years settings, classrooms, dining halls and playgrounds. Her books have received worldwide acclaim, and include ‘Here We Go Round for 3-5 Year Olds’, ‘Quality Circle Time in the Primary Classroom’, ‘Quality Circle Time in the Secondary School’, ‘Personal Power’, ‘Boost Your Energy’, ‘Positive Playtimes’, ‘How to Create Calm Dining Halls’ and ‘They’re Driving Me Mad’. Jenny’s first book ‘Turn Your School Round’ focused on the wellbeing of all the adults in the school. Jenny wrote the Primary National Strategy ‘Happier Playtimes and Lunchtimes’ guidance document, circulated to all UK primary schools and taught on the Bristol University and London University’s M.Ed programmes. Being on the UK Government’s Social and Emotional Aspects of Learning (SEAL) team, and writing SEAL Circle Time Guidance for early years, Primary and secondary education, Jenny Mosley is passionate about expressing and demonstrating ways of promoting emotional health and wellbeing for everyone in schools, starting with yourself. Karine George is an award-winning educationalist, with a passion for re-imagining the future. She was a head-teacher for more than 20 years in a large junior school rated as outstanding by Ofsted, England’s school inspection and regulatory body. She is an active research practitioner, and an ardent advocate of the use of technology to support 21st century learning, and was selected to work on the Government task force for Home Access and has reported to the department on the use of technology. 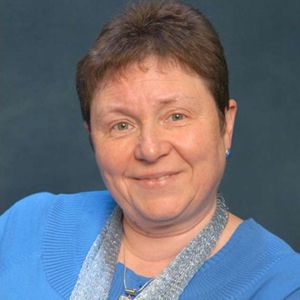 Karine is a frequent keynote speaker, and has written articles on a range of educational issues. She is a contributing author to ‘Sustainable School Transformation: An Inside-Out School Led Approach’ (edited by David Crossley, Bloomsbury, 2013), which looks at how the rigour of traditional top-down accountability models can be combined with the engagement and buy-in of school-led “inside-out” approaches. Alan Jervis is one of Dragonfly’s senior trainers and has delivered over 1,600 courses to more than 11,000 teachers. With over 30 years of teaching experience – including seven as an assistant Headteacher responsible for teaching, learning and assessment – Alan has extensive experience of employing new teaching and learning strategies. During his time as Assistant Head, Alan was also tasked with targeting student under-achievement which he did so successfully that this resulted in an impressive 36% upturn in GCSE and A level exam results. 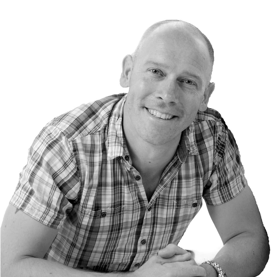 Since then, Alan has become not only an expert teacher trainer, but also a qualified NLP consultant and author. Alan’s publications include co-writing the critically-acclaimed ‘Improving Classroom Performance: Spoon Feed No More’ among others. With this incredibly vast experience and expertise, it is no surprise Alan’s Dragonfly courses receive our top 97% 5-star feedback from all past delegates. Alan has delivered courses for Dragonfly Training in the UK, Europe and Asia and is a regular CPD workshop provider at Dragonfly’s Independent School and Subject Leader conferences, ISHRAQ conferences, The GESS Show, COBIS conferences and the BSME conference in the Middle East. Pamela Fisher taught as a full-time English teacher for twenty years, most recently as Head of English at a comprehensive school in Wales. In order to further her professional development, she also studied part-time for a Master of Arts degree in Education which afforded her opportunity to research, amongst other areas of interest, ways of improving boys’ achievement levels in English. Working now as a Dragonfly trainer and consultant, Pamela has run many courses throughout the various regions of the UK. Her courses have covered a variety of aspects of English teaching including those dealing with more able students, differentiation, improving marking, feedback and assessment, less able students, Assessment for Learning, and improving exam success. On an international level, Pamela has run workshops in Prague for British International School teachers throughout Europe covering elements of both KS3 and KS4 English teaching. Having had many years’ experience as a GCSE English Language and also Literature Examiner, Pamela now works as a GCSE Oracy Moderator. In addition to this, she tutors groups of KS3 and GCSE students. Pamela runs workshops for students who are following a post-graduate teaching course, and works with overseas undergraduates at a University Summer School equipping them with the conﬁdence and speaking skills they need to participate fully in their degree courses. 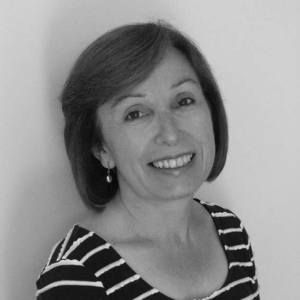 Pamela is an enthusiastic practitioner who is always keen to share her passion for English teaching in a non-threatening, inclusive and humorous way! Through his work in the classroom, Alan has earned an excellent reputation within computer science education and has a wealth of experience in delivering courses which have been consistently graded by teachers and inspectors as “outstanding”. Despite having no previous computer science background, Alan ﬁrst introduced the subject into his school in 2007 and GCSE computing in 2010. Alan was one of the ﬁrst DfE Computing At School master teachers, and is the founder of both Raspberry Jam (the global community for people to discover the potential of the Raspberry Pi) and Hack To The Future. Thousands of teachers have used Alan’s resources for teaching computing and his work has featured in The Guardian, TES, The Sunday Times and on the BBC. Andrew is a SENDco with over twenty years of experience teaching in a range of different Secondary Schools (starting his career as an English and Drama teacher, before progressing onto Head of Department and Pastoral Head in large secondary schools). 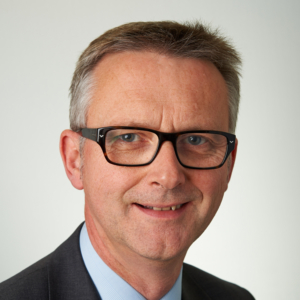 He is now identiﬁed as a Specialist Leader in Education for the Borough of Poole, with a focus on Mental Health and Wellbeing, SEND, Supporting NQTs and Challenging the Most Able (with the majority of his time spent providing Mental Health focussed training to teachers). His degree is in English Literature, with a Master’s degree in Effective School Leadership, Managing Whole School Behaviour and Whole School Inclusion. Andrew also holds accredited status for Mental Health First Aid and is in the process of publishing a whole School audit – designed to evaluate mental health and wellbeing provision in schools and colleges. 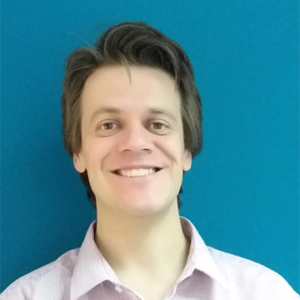 Andrew is passionate about improving the quality of education for all students by creating and sustaining the most effective learning environment in the classroom. He strongly believes in the need to set high levels of challenge, and equally provide high levels of support in order to promote staff growth and development in an educational environment. Throughout his career he has supported staff in order to develop conﬁdence and capability in the classroom. Steve Garnett has been a teacher for 24 years. He has delivered INSETs to over 7,000 teachers over the past 10 years in the UK, Ireland and across Europe, the Middle East and the Far East. Teachers who have attended Steve’s courses have regularly described them as ‘inspirational’. Steve is an award-nominated author whose book ‘The Subject Leader’ was shortlisted for Best Secondary Resource in the prestigious BESA awards. He has also written ‘Using Brain Power in the Classroom’ which a TES Review described as ‘strong in its resume of the latest research into what constitutes effective learning’. 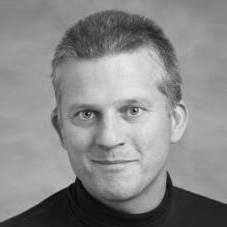 Steve is also co-author of ‘Spoon Feed No More – Improving Classroom Performance’ – which is a definitive guide to the philosophy and practice of Dragonfly Training. 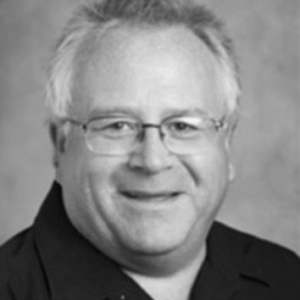 Dave Taylor is one of the most experienced and gifted trainer and school leaders in his field. Throughout his years in school leadership, Dave has remained focused on the magic of the classroom and is often cited as an inspiration to his students and his colleagues alike. 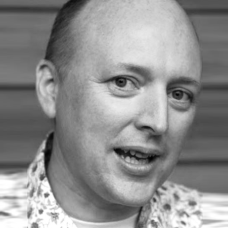 Dave has organised and presented teach meets, conferences and multi-platform festivals. He has presented at the SSAT Achievement Show and sat on the steering group on ‘World Class School Status’ in the SSAT’s Leading Edge group of academies. Peter Dawes is one of Dragonfly’s longest serving trainers. 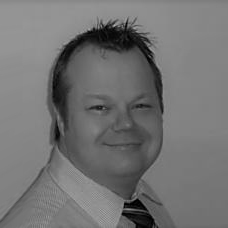 Peter is an engaging and enthusiastic trainer with a broad repertoire of practical ideas. Peter has acquired a broad CV, following 17 years’ experience of teaching MFL in a variety of schools, including teaching English abroad. In addition, Peter has extensive experience of running pupil residential courses; developing educational web content and blogs; speaking at numerous conferences such as ALL, ECIS and various TeachMeets, as well as keeping his hand in through supply, private tuition and helping at his local primary and secondary schools, which his own children attend. There is a common strand running through all of Peter’s Dragonfly courses, which include Teaching EAL in the Mainstream Classroom, MFL, Effective Differentiation, Improving Literacy & Numeracy, Raising Boys’ Achievement and Using IT Effectively in the Classroom. Whether delivered at home or abroad in Europe, Africa, The Middle East and The Far East – Peter’s courses offer inspiration and practicality and promise minimal teacher preparation time. Brenda Taggart’s background is in primary education having been a teacher, advisory teacher, deputy/acting Headteacher and an in-service and initial teacher trainer. She has worked in the field of educational research for over 20 years. She has conducted research for Governmental and non-governmental bodies exploring the impact of educational initiatives. During this time she has developed, published and administered research instruments. 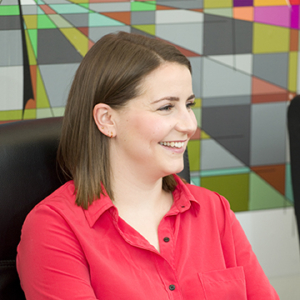 She has worked on both quantitative and qualitative data to code, analyse and interpret findings. She has advised the Government (Cabinet Office, DfE, Treasury, No 10 etc.) on early years policy. She also works with practitioners on issue of quality and effective pedagogy. She was one of the Principal Investigators and the Research Co-ordinator for the Effective Pre-school, Primary and Secondary Education Project, a longitudinal study funded by the UK’s Department for Education (1997-2014) and is currently an Honorary Senior Research Associate at UCL’s Institute of Education. 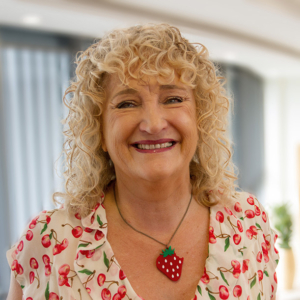 Brenda has presented research findings across the world and is a much sought after speaker for her ability to communicate complex research findings in an accessible way to a range of audiences. Peter has been part of Cambridge International for 18 years, and held positions managing research and strategy before moving to a schools-facing role, managing UK & Ireland through a period of exceptional growth. 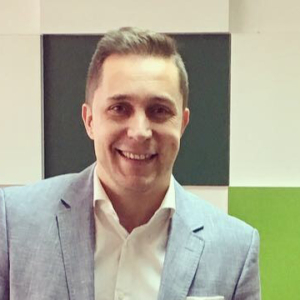 He became Regional Director in 2016 and now manages the Europe team who work with schools in 50 countries. He also has oversight of regional strategy, recognition of Cambridge qualifications, and the training and development requirements of schools across Europe. As Principal of The Teaching Assistant College, Eva has led a team of trainers, tutors and consultants delivering in schools and early years settings in over 50 countries. 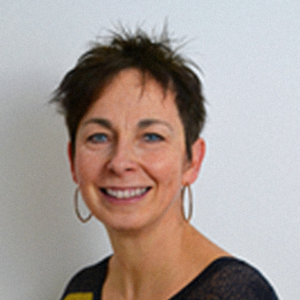 She has worked closely with the awarding body CACHE (Council for Awards in Care, Health and Education) to write and consult on qualifications and has great pleasure in being able to share a programme specifically designed for Early Years practitioners in NABSS schools at the conference. David is currently CEO at Mesher Consulting Data and General Director of Hermes Formación. He also lectures on privacy and data protection at the Universidad Pontificia Comillas (ICADE-ICAI). He has worked on more than 4000 projects for major companies in the area of data protection and intellectual property. 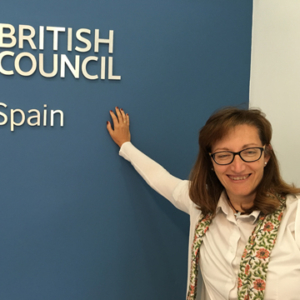 Sonja Uhlmann is working for the British Council Spain as Child Protection Manager. Sonja’s main responsibility is to put in place corporate requirements in order to prevent and reduce the risk for children to suffer from any type of abuse including bullying. She has also to ensure compliance with Spanish and British Law concerning Child Protection and has to train the team about how to deal with an incident if it finally takes place. Finally, she is the point of contact in Spain with the Global Child Protection Team of the British Council and has to ensure that policies and procedures are implemented. Psychologist, Master in Speech Therapy and Early Intervention she has worked for over 18 years with parents, teachers and children at the Down Syndrome Foundation in Madrid. Simultaneously she has been involved in several projects, research and training delivery related to Children’s Rights both nationally and internationally. She has also developed materials to promote children’s rights at schools and has extensive experience in delivering child protection trainings. Stella James is a mother of two young children and Head Gooseberry of Gooseberry Planet – an award-winning educational software platform developed to educate children, teachers and parents how to be safe online. As one of the Government’s top 3 priorities, online safeguarding is hugely important and a ‘hot’ topic in education. With children now spending increasingly more time online and with more than half of them using social media before the age of the 10, it is vital that the younger generation are taught how to use the internet responsibly and are aware of the dangers found online. In response to this, Stella developed Gooseberry Planet to enable schools to effectively teach pupils about staying safe online. She says, “If Gooseberry Planet can save one child from being groomed or sexually exploited, then it has achieved my goal.” Stella is passionate about broadening conversations around online safety and protecting young children online. 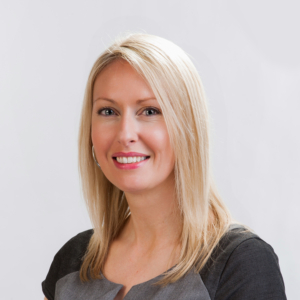 She regularly delivers presentations and workshops to schools and school associations and runs CPD training courses to organisations in the education sector. Stella’s sessions offer an informed and thought-provoking insight into the issues surrounding online safety and safeguarding, discussing how schools can meet statutory requirements and deliver engaging and regular discourses around online safety for pupils. David is a Special Educational Needs teacher at Swans International School in Marbella. With over 15 years teaching experience, David has spent the last three years voluntarily developing a network of grass root teacher training sessions around the theme of innovating with new technologies in teaching. 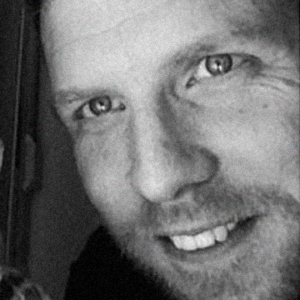 David originally trained as a secondary humanities teacher at the University of Chichester and went on develop his career at the glamorously named Bognor Regis Community College. There his talents for building positive and supportive relationships with students was noticed and he was given the freedom to develop and lead an Alternative Curriculum Unit that specialised in engaging students with social, emotional and behavioural difficulties positive and supportive relationships with students was noticed and he was given the freedom to develop and lead an Alternative Curriculum Unit that specialised in engaging students with social, emotional and behavioural difficulties. 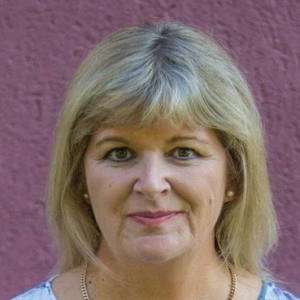 Lisa Lalor has worked in primary schools for the last ten years as a class teacher, mathematics leader, member of senior leadership team and a Numicon Affiliate in the UK. She has held a lifelong passion for mathematics and is dedicated to improve maths education for all. Lisa advocates the use of manipulatives and visual representations, such as Numicon, to embed understanding by making abstract concepts ‘real’. Lynn has worked in a variety of roles with a language, literacy and communication focus – including Primary Teacher and Literacy Leader across her local authority. Lynn firmly believes that reading is what enables children – and adults alike – to access the world around them. She feels it is not only a pleasure but also a duty to make sure that all children can do this. 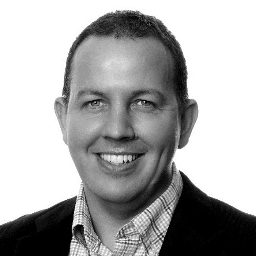 Kevin Hiatt is a Publisher at Pearson Edexcel, and is Product Manager of iPrimary and iLowerSecondary. He is leading the development of teaching resources and courseware for international primary and lower secondary schools. Prior to entering the world of publishing, Kevin was a Primary School teacher and senior leader in UK schools and has kept up a passion for helping students and teachers learn and develop. 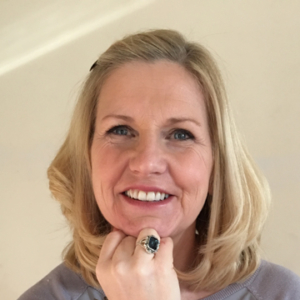 Involved in Sound Training from the start, Lisa is a qualified teacher who brings huge passion and commitment to raising achievement and life chances for all through improved literacy skills. 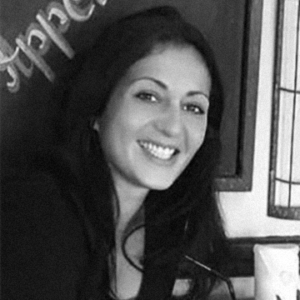 She is a skilled and experienced Lexonik trainer of both students and educational professionals and is also responsible for the recruitment and training of our national team of teachers, ensuring standardisation of delivery and impact of Lexonik in the UK and internationally.